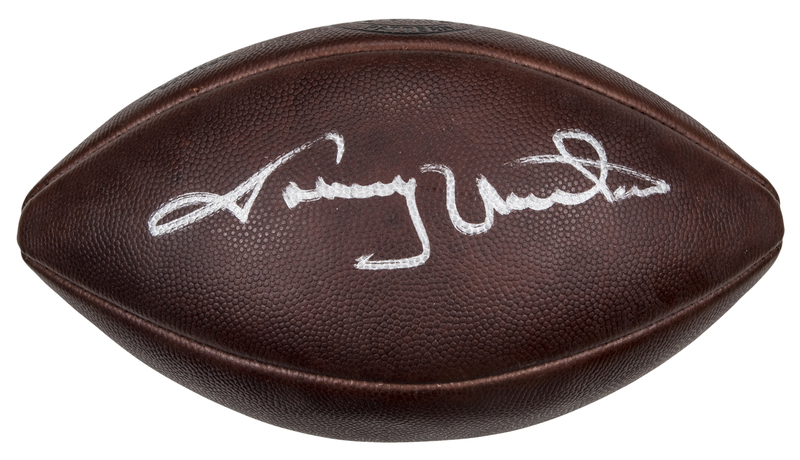 Hall of Fame signal caller Johnny Unitas has signed this Wilson football. 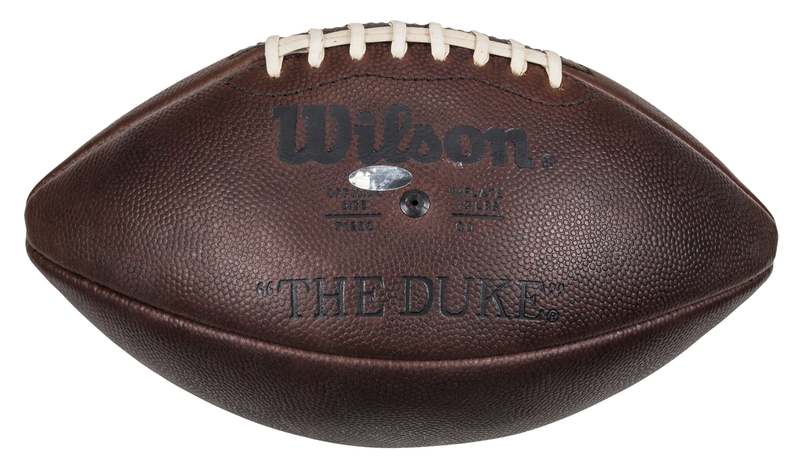 One of the NFL’s first great passers, Unitas starred for the Baltimore Colts from 1956 to 1972. “Johnny U” led the NFL in passing yards four times and passing touchdowns another four while leading the Colts to three NFL titles and the Super Bowl V championship. 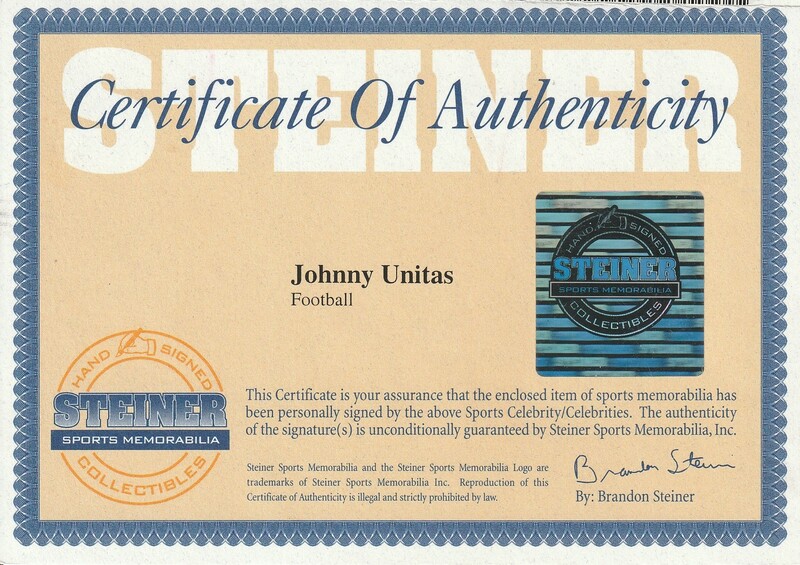 Unitas was inducted into the Pro Football Hall of Fame in 1979. Unitas has signed this football in bold silver marker. 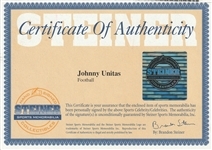 This item comes with a COA from Steiner Sports.